Fractora™ is an innovative skin rejuvenation treatment that can improve the complexion and texture of your skin. It offers the deepest penetration of all fractional laser technology. Fractora™ utilizes revolutionary radio frequency (RF) technology to target superficial lines and deeper wrinkles that may form over time, due to the natural aging process, sun exposure, or environmental factors. This innovative skin resurfacing procedure can also reduce the appearance of acne scars, red spots, lesions, and pigmentation issues. 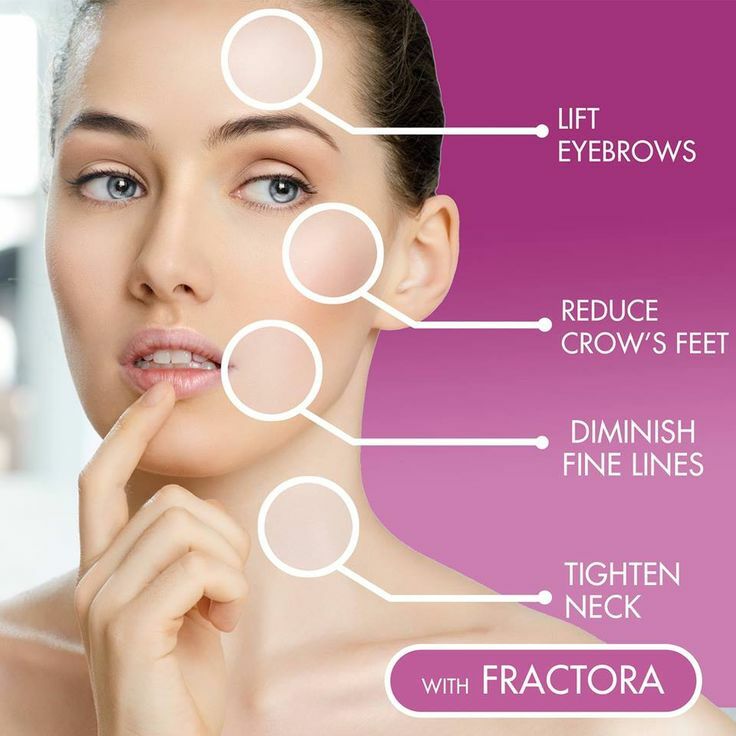 Fractora™ treatment is designed to firm the face and body and improve skin tone in one procedure. RF energy from the Fractora™ machine stimulates the production of subsurface collagen to tighten skin, while also resurfacing the initial skin layer for a radiant complexion. WHAT CAN FRACTORA™ DO FOR ME? The Fractora™ handle is equipped with a series of micro-pins that deliver radio frequency energy to the treatment area. During your skin rejuvenation procedure, the skin is firmly stretched and the Fractora™ handle is applied to the surface of your skin. The micro-pins deliver gentle, controlled pulses of RF energy that penetrate down to the skin’s lower layers and stimulate the growth of new collagen. These micro-pins also resurface the outer layers of your skin to allow for the growth of new skin cells. What should I expect during my Fractora™ procedure? What should I expect after my Fractora™ procedure? What kind of results can I expect from Fractora™ skin resurfacing? Improvements to your skin texture can be seen after using Fractora™ and many patients see further enhancements in the months following treatment. Fractora™ skin resurfacing can reduce acne scars, lesions, red spots, fine lines, and wrinkles for a smoother-looking complexion. Rx: Acne Scars. Smoker's lips. Crepe skin on neck area. Mature skin with loss of elasticity. Sallow and thickened skin. Clients seeking instant, visible results.